we got to be tourists too. 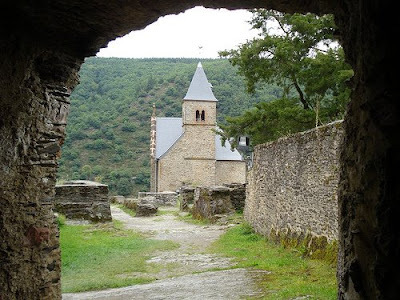 Here are some of cool sites we visited in and around Luxembourg City. 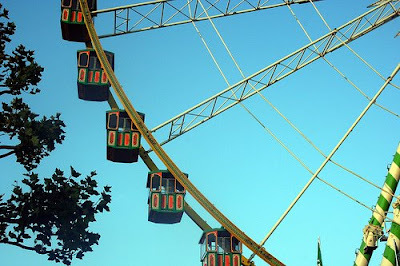 Annual festival - Schueberfour. It's origins date back to 1340 when the Duke of Luxembourg called into being a large trading market. 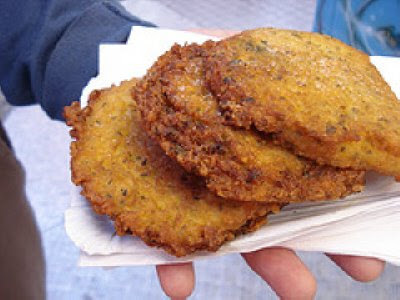 These potato pancakes are one of the signature dishes. Coolest park EVER - Parc Monterey, right in the city center. 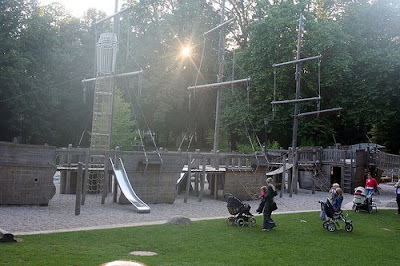 Check out the enormous pirate ship! 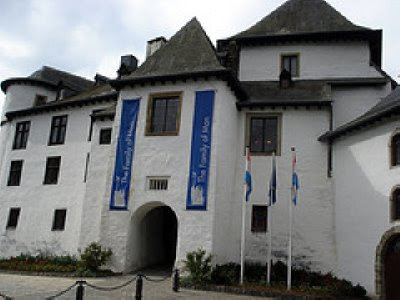 Clervaux Castle which houses the Family of Man, a famous photography collection. It was so powerful it could hardly be taken in, in just one visit. It's almost here! Can't wait to see your challenge tins! Send me an email or leave a comment with a link to your post. Our current challenge is: Children's Literature. Words can't describe how jealous I am! :) I think that's just too awesome that you'll get to spend two years there. I can give you ideas of where to visit in Austria if you should ever find yourself heading that way (and hopefully you will!). Will you still be able to blog from there? Just curious how that all works. I think it's funny to hear about Nutella. My grandparents would send it to us (from Austria)- this was way back when you couldn't buy it here (or at least not in Alaska). I remember locking myself in our pantry and eating nearly an entire jar! I try to be a good girl these days. :) By the way, my mom (Austrian) STILL HATES peanut butter. I can't wait to visit you!! Promise me we can have potato pancakes together and take the girls to play in the pirate ship!! I'm so so so excited for you! I've posted my MTM. We are off to the mountains so I had to do it early. Loved the theme!!! So much fun! How dreamy! Thanks so much for sharing and all the info! I can't wait to visit you there! Luxemburg looks great - I may have to pop in for a visit if I am ever in the area! Wow! Those potato cakes look delicious and that park is awesome! WOW! That is so cool! thanks for sharing! Just wanted to come in and say hello! Well, I didn't get around to it (had the big 3 b-day party today). I was going to just do Green Eggs & Ham but since I always make green eggs and used them for both the rainbow and b'fast challenge I thought it would be a bit of a cop out! I hope to join in next time.